GOAL 3: Become a leading public research university addressing the most challenging issues of the 21st century. In fiscal year 2018, Georgia State’s total research expenditures exceeded $200 million, the highest amount in the institution’s history. The university ranked 108th out of 902 for research expenditures, and rose 15 spots from 2017 in the National Science Foundation’s Higher Education Research and Development Survey. At the start of the strategic plan in 2011, Georgia State ranked 157th. From fiscal year 2010 to 2017, expenditures increased by 248 percent, making Georgia State one of the nation’s fastest-growing research universities. For the past two years, Georgia State has been the highest-ranked institution without an engineering or medical school. Georgia State has been ranked in the top 10 for notable growth in NIH research funding over the last decade. NIH is the largest source of funding for medical research in the world. The number of principal investigators with more than $1 million in external funding has increased from nine in 2010 to 33 in 2017, 15 of whom have portfolios of more than $2 million. Georgia State ranks among the nation’s top 115 public and private universities in the Carnegie Foundation’s elite category of research universities with very high research activity — the highest level of research activity for doctorate-granting universities in the United States. In millions. Hover over graph to view numbers. INITIATIVE 1: Enhance a research culture. Courtney Anderson is championing housing issues to break the cycles of poverty in cities across the country. Dr. Tim Sass is leading the Georgia Center for Education Policy to improve academic, career and life outcomes for students. Dr. Laura Salazar works with colleagues to understand and improve health inequalities experienced by racial, sexual and gender minority populations. Since 2011, 84 faculty scholars and researchers have been hired via the Second Century Initiative (2CI) and other strategic hiring. The primary goal was to build nationally and internationally recognized strength and critical mass using cluster hiring around common scholarly themes. 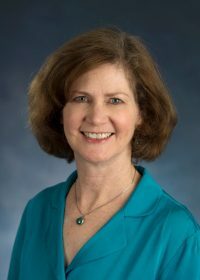 This hiring initiative was intended to enhance Georgia State’s overall faculty quality, interdisciplinary richness, competitiveness and recognition for excellence in research. The 2CI and related strategic hiring has been transformative in enhancing the quantity and quality of scholarship and research at Georgia State. The Next Generation Program continues this transformation. Learn more at http://nextgen.gsu.edu. Dr. James Cox is an experimental economist whose research gives insights into trust, reciprocity and altruism. Dr. Binghe Wang leads the university’s Center for Diagnostics & Therapeutics, and is also part of research examining antibiotics. Dr. Ming-Hui Zou is helping to develop a new model for treating diabetic cardiomyopathy – the thickening of the walls of the heart. Georgia Research Alliance (GRA) Eminent Scholars are among the nation’s top researchers and brightest minds in their fields. Since the strategic plan began, GRA Eminent Scholars at Georgia State have increased from three in 2011 to eight in 2017. The School of Public Health invited Dr. Collins Airhihenbuwa, one of the nation’s most preeminent public health scholars, and a former Dean of the College for Public Health and Social Justice at Saint Louis University. 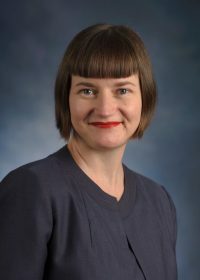 The Department of English invited Dr. Maryemma Graham, University Distinguished Professor at the University of Kansas, to Georgia State University as a Provost’s Visiting Scholar in Spring 2018. She is the world’s leading scholar of Dr. Margaret Walker Alexander, a poet, novelist, and scholar. The Department of Criminal Justice and Criminology invited Dr. Ojmarrh Mitchell, who has examined issues related to race and drug crime, drug crime more generally, and the effectiveness of various correctional programs and policies in reducing recidivism. The Provost’s Visiting Scholars Program brings to Georgia State University promising and leading faculty from underrepresented minority groups for short-term (1-2 week) visits. The program serves a two-fold purpose: these visitors enrich the intellectual life of the campus at the department level and above, and they are be positioned to communicate Georgia State University’s strengths to potential future faculty members, graduate students and postdoctoral fellows. Through these goals, the program enhances ongoing faculty recruitment efforts. Leslie Wolf is nationally and internationally recognized as a leading scholar of health law, public health, and ethics. Her research has appeared in the New England Journal of Medicine, the JAMA family of publications, Science, and the American Journal of Public Health. 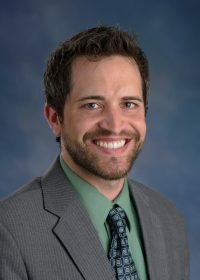 Dr. Eric Wright researches social and public policy responses to mental health and illness, substance use and addictions, HIV/STI prevention, and health disparities. He helped lead Atlanta’s first comprehensive count of homeless youth along with colleagues from Georgia State and other institutions. Dr. Ann-Margaret Esnard’s expertise includes urban planning, disaster planning, vulnerability assessment, and GIS/spatial analysis. She has co-authored two books about disaster recovery and resilience in the face of disasters. A Distinguished University Professorship also was established to recognize a sustained and outstanding record in scholarship and instruction, and to provide the impetus for continuing high achievement. As of April 2018, there have been 35 Distinguished University Professors appointed since 2013 (please click here for a complete list). Regents’ Professorships are bestowed on distinguished Georgia State faculty whose scholarly achievements are recognized nationally and internationally as innovative and renowned. There are 32 Georgia State Regents’ Professors — 16 of whom have been added since 2010. INITIATIVE 2: Establish University-Level Research Centers. The Mark Chaffin Center for Healthy Development. 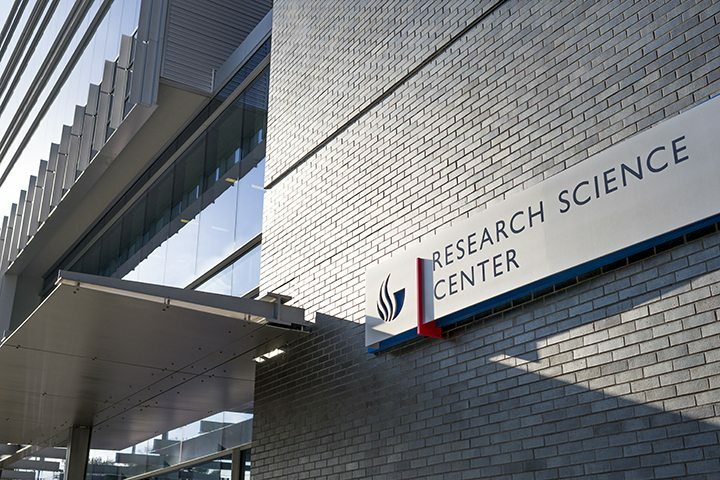 In 2010, Georgia State’s first university-level Research Institute was established — the Institute for Biomedical Science (IBMS). IBMS is a leading multidisciplinary research and education institute dedicated to advancing fundamental and innovative biomedical research that improves human health and educates future generations of leading biomedical scientists and health professionals related to biomedical sciences. The Institute has partnerships with universities around the nation and in nine countries. In FY17, it generated more than $20 million in research funding. INITIATIVE 3: Create a Georgia State Faculty Fellowship Program. A Georgia State Faculty Fellowship Program was developed in 2011 to allow faculty to have time to facilitate completion of applications for preeminent international and national fellowships or awards. This includes the Provost’s Faculty Research Fellowship, and the Study in a Second Discipline Fellowship. Since the program was developed, there have been more than 30 fellows in both fellowship tracks. INITIATIVE 4: Enhance supporting infrastructure for the conduct of research. 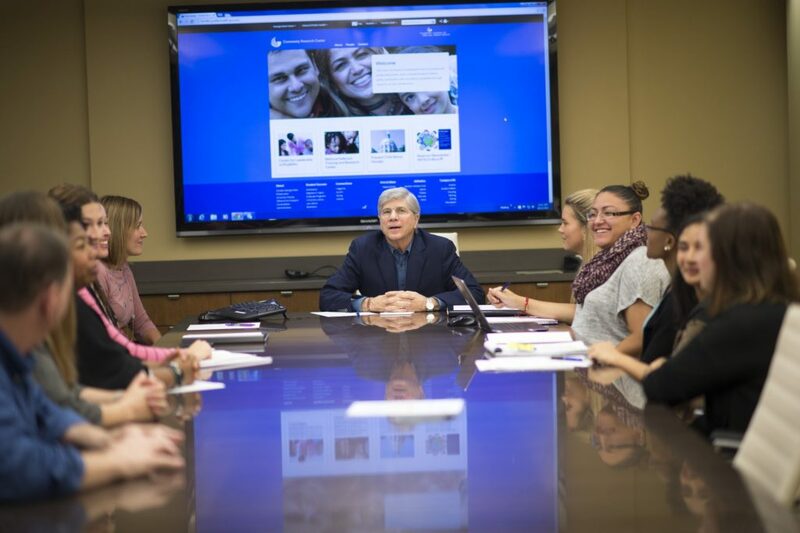 Research administration support services have been strengthened by expanding central research administration management, adding online administrative systems and adding new, distributed research administration staff in colleges and departments to provide more local services. Research information has been strengthened with Research Solutions Vertical where all research, grants and compliance management functions are now digital. ScholarWorks, an open source archive of scholarly output for faculty was introduced. 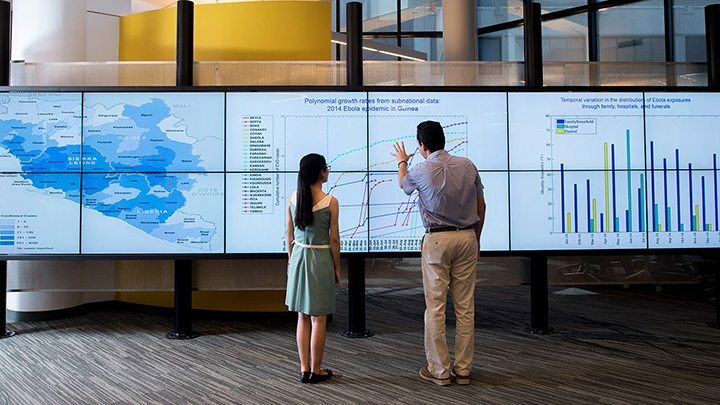 The CURVE (Collaborative University Research and Visualization Environment), opened in the University Library in 2014, is a technology-rich discovery space supporting research and digital scholarship. A new Chief Innovation Officer was hired in 2014 to direct the university’s Information Systems and Technology Department and to help define and implement innovative strategies and technology solutions to advance the university. A new research lab building, adjacent to the Petit Science Center, was completed in June 2016 and provides expansion space for new research faculty who need state-of-the-art wet labs and related core facilities. In 2018, the Board of Regents of the University System of Georgia approved the construction of a new science building on the south side of this research lab building. This building will be the third in the university’s science park, alongside the research lab building and the Petit Science Center, which opened in 2010. Design of the new building will be during FY 2019, and construction is anticipated to be complete by the end of FY 2021. INITIATIVE 5: Enhance Georgia State’s contributions to the sciences, and health and medical research and education. Contributions to health and medical education include the the start of new graduate degree programs in the Institute for Biomedical Sciences, which began master’s and doctoral degree programs in 2016 and 2017, respectively. The Master of Interdisciplinary Studies with a concentration in biomedical enterprise is a ground-breaking, interdisciplinary program offering coursework in science, business and law. In partnership with Georgia State’s College of Law, J. Mack Robinson College of Business and College of Arts and Sciences, students are gaining essential skills involved in the commercialization of scientific discovery. The Ph.D. in Translational Biomedical Sciences is an innovative program focused on educating and training the next generation of leaders to advance human health through scientific discovery. The program will provide access to interdisciplinary training by world-class faculty mentors, cutting-edge biomedical research and modern facilities. Primary areas of study and research will include microbial pathogenesis, infectious disease, vaccinology, immune regulation, cancer biology, systems biology and translational medicine. A unique curriculum designed to integrate classroom education, laboratory research and professional development will position graduates to become leaders in a wide variety of biomedical careers in industry, research, education and medicine. The university’s efforts on the health and medical education front also includes the establishment of the School of Public Health (SPH) in 2013. The school expanded beyond the university’s existing Master of Public Health degree in 2014 when it began to award Ph.D. degrees, and the school began its Bachelor of Science in Public Health degree program during the fall of 2016. A new Doctor of Public Health (DrPH) degree program for students who do not wish to pursue academia will be offered in fall 2018. The school also offers a J.D./M.P.H. dual degree in conjunction with the College of Law, and a graduate certificate in public health. Faculty and staff in the School of Public Health are focused on educating students, research, implementing solutions to societal problems and partnering with community organizations to develop answers to the public health challenges faced by communities in Georgia and cities across the globe. The SPH strategically focuses its research and educational programs in areas such as urban health disparities, chronic diseases, tobacco and violence prevention.